In which ways did scanning Nero's ship enhance/change Starfleet technology? 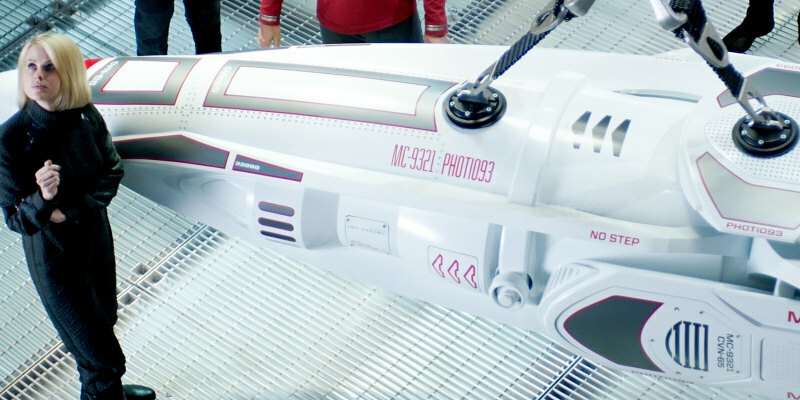 I've heard the explanation that the Enterprise from 2009's Star Trek looked so much more advanced was because data gathered from the Kelvin initially scanning Nero's ship when it first appeared enabled them to upgrade their tech. I'm wondering if they've ever detailed exactly what technologies were advanced or enhanced or discovered. The Narada was massive in comparison to the Kelvin, and the Abrams NCC-1701 is massive in comparison to the Prime Timeline's NCC-1701. the Abrams NCC-1701 is filled with larger tech that requires more space to house. As to which exact technologies within Starfleet vessels were influenced by the Narada data, there are no canon (or even quasi-canon) statements regarding these. It might be possible to extrapolate what they must have been from what we see in the Abrams NCC-1701. I am hesitant to say that improved display screens and console interfaces are some of these technologies, mainly because I would guess that such things are not high priority when scanning a hostile vessel. Also, these improvements could simply be a knock-on effect of having more time to pursue research into ergonomics because of the problems that may have been solved with regards to propulsion and weaponry due to the new data. I would like to say that weapons systems on the Enterprise have been enhanced as a direct result of the encounter with the Narada. However, the lack of descriptive statements regarding the on-board weaponry limits our ability to make definitive statements of this kind. Also, the transwarp beaming device that Khan uses in Into Darkness was the result of Spock's interference, not of the Narada's! The experimental torpedoes developed by Section 31 (in which Khan hid his followers) could have been influenced by the Narada's torpedoes — plenty were lobbed at the Kelvin. The Enterprise and the Vengeance made the trip from Qo'noS (in the Beta Quadrant) to Earth rather quickly, suggesting improvements to propulsion that may have been instigated by scans of the Narada. We can also try to link the formidable phaser cannons on the Vengeance to the Narada scans — phaser cannons had previously not been seen on Starfleeet vessels in the 23rd Century — but they are much more likely to be the result of Khan's influence, as Khan's job was to make the Vengeance as fearsome as possible. This is probably the best we can do without specific canon-based indications. Not the answer you're looking for? Browse other questions tagged star-trek star-trek-tos star-trek-2009 or ask your own question. What are the technical differences between these two versions of the NCC-1701? 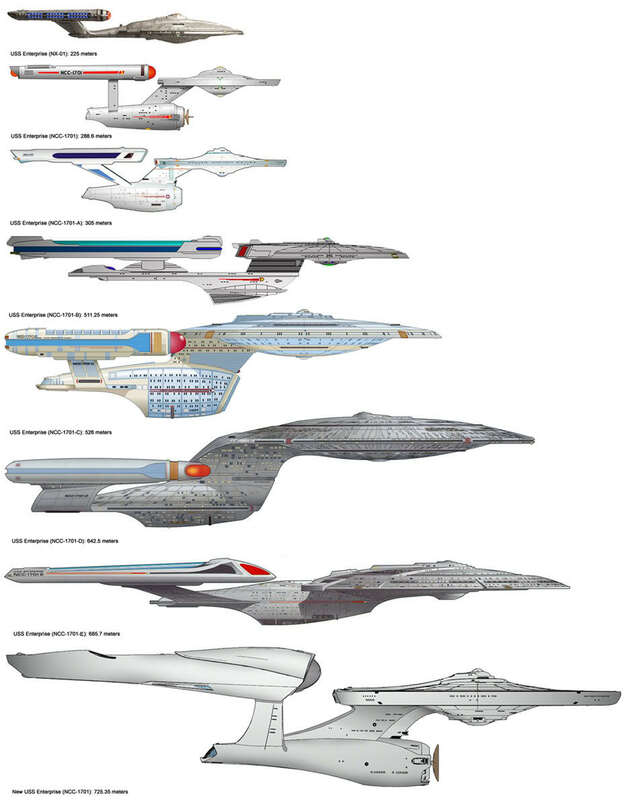 How much does the Enterprise increase/vary in size between models? What reality has more advanced technology? What prompted such a dramatic change in computing technology in the ST reboot universe? Which ship became the flagship of Starfleet after Enterprise-D was destroyed? How much did Starfleet lose due to Narada? What, exactly did Starfleet have “invested” in Mr. Spock? Which Starfleet uniforms have pockets? From which material are Starfleet ship dedication plaques made?